As temperatures drop and snow finally starts to fall I get extremely excited because it is finally winter beer season. 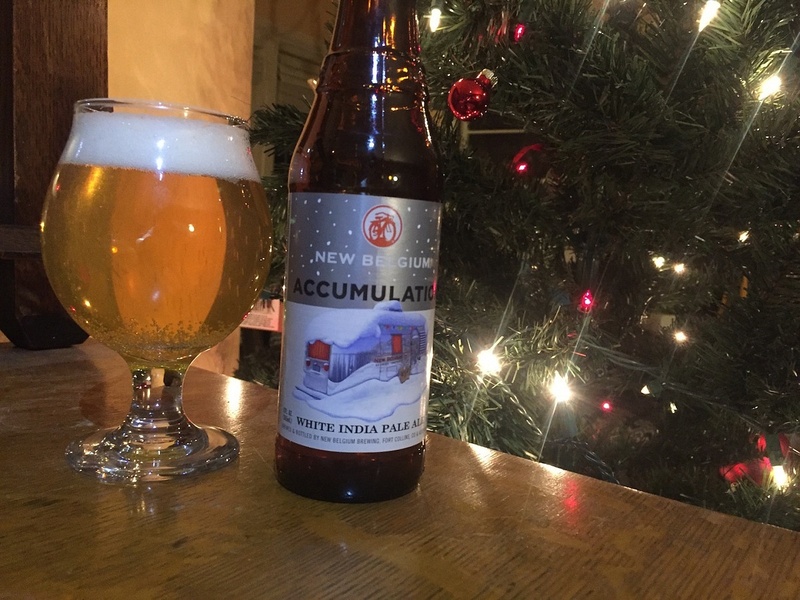 The arrival of this amazing time is marked by the release of one of my favorite seasonals; Accumulation White IPA by New Belgium. While most winter beers are high alcohol dark big beers or stouts Accumulation is welcome change with its light yet complex nature. This beer is best enjoyed in a Tulip glass sitting by the fire as the muffled world outside your frosted window fills with snow. Accumulation is a rare breed known as White India Pale Ale which is a relatively new style inspired by the American IPA revolution. Accumulation leverages the best aspects of the American IPA and minimizes the ones that turn so many drinkers off. The first thing you notice is that the bitterness tends to be much cleaner and smoother than its hop-forward cousin and the Belgian Ale yeast used causes a sort of dry finish that is very pleasing and helps offset the palate destroying aspects of the standard American IPA. 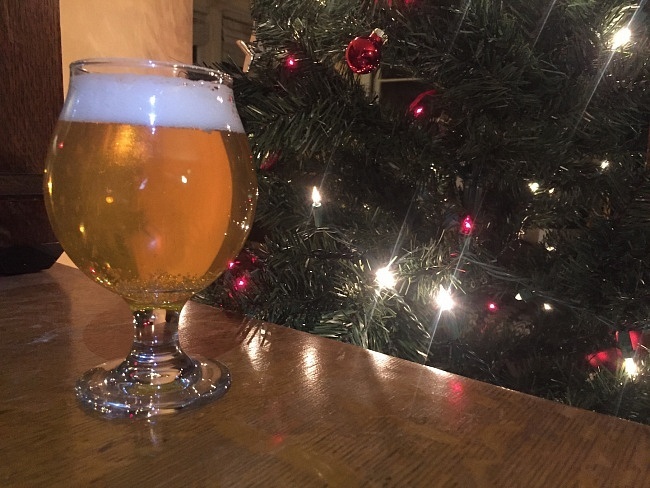 The color is a cloudy pale yellow with with light pure white foam and on first pour smells faintly citrus with only a slight note of it’s hoppy base permeating from its dense white head. The beer itself is cautiously hopped and quite subtle with the wheat malt balancing out the flavor profile extremely well. Dry-hopping is evident with a satisfying but not overbearing in either finish or taste. This is an extremely well balanced beer that I look forward to enjoying on many cold winter nights as the sunlight slowly fades and the world around you slowly freezes over. 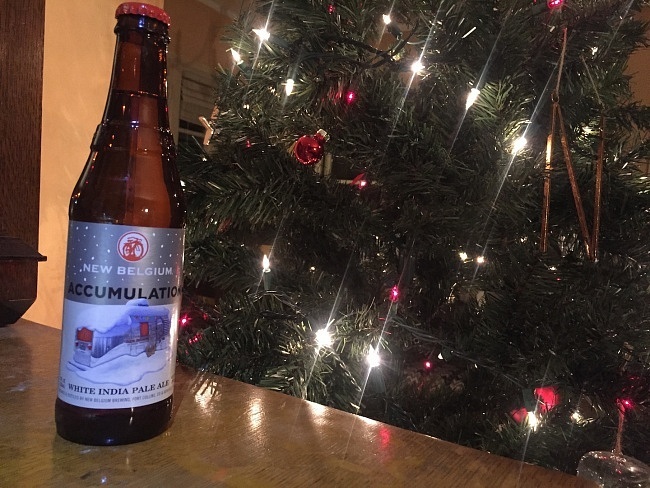 Crack open an Accumulation by New Belgium and enjoy the best season for beer there is.